My name is Michael Koski. My wife Tammy and I live in Colorado, United States with our four children. We consider it a privilege to have been able to put together and maintain this website. 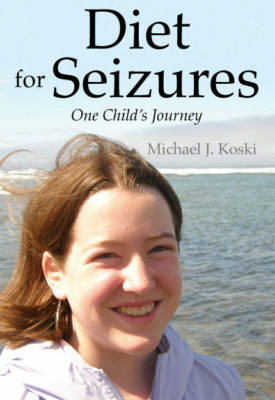 We hope this will be a resource that positively impacts your quality of life and your family’s, just as the MAD for Seizures has done for us. Our oldest child Brooklyn, born in 1997, had absence seizures since she was two years old. We tried six different AED’s (antiepileptic drugs) with no positive impact. We found Dr. Eric Kossoff in Baltimore, Maryland at the Johns Hopkins Hospital and commenced the MAD for Seizures in August, 2004. What a difference it has made to our lives! Brooklyn is now seizure and medicine free! Of course, plenty of work and self-education had to be done to incorporate the diet into our daily lives, but it has been worth it. It is our hope that this website will shorten the learning curve for families that are using this dietary approach to managing epilepsy. Watching your loved one have seizures – or having them yourself can be a very emotionally difficult thing to do. Our daughter struggled with over 100 seizures every day – even while heavily medicated (and we were scared of the medicine we were giving her). We felt helpless. We took it personal. We tried everything we could find. In a short period of time, the Modified Atkins Diet allowed our daughter to go off all her medication – and reduced her seizures to just 15 a day. Now, a couple years later, she is seizure and medicine free. We sincerely hope our experience will help you. The ebook is written in story format and details our experience with the Modified Atkins Diet for Seizures. It has been downloaded by hundreds of families, doctors and nutritionists around the world. It is not a “Do – It – Yourself – Guide”, as we are not doctors and we strongly advise you observe this protocol under the direction of your doctor. This story will dramatically shorten your learning curve. We spent many hours online, at the grocery store and on the phone with our doctors trying to figure out the answers to the worries you will find in our story. This book is exactly what we wish we would have had when we started out!